eating for a healthier bmi | Eating for . . .
As promised, I began keeping a food journal and it’s already been gratifying! When I went to grab my morning snack of toasted pumpkin seeds, imagine my utter dismay upon realizing a 1/4th cup serving provided me with over 300 calories. Insanity! Next when ordering lunch I looked up the dressing on the Internet and that alone added an additional twenty grams of fat. Lesson learned–hidden calories and fat are abundant even in so-called “healthy” foods. 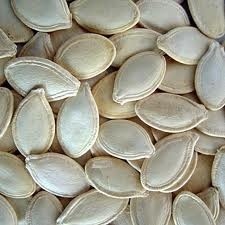 One cup of pumpkin seeds=1,200 calories, almost as many calories as I am supposed to consume in a day! So as a weight loss hopeful, I regularly tune into Dr Oz and when he announced on Twitter that people who count calories lose twice as much as those who don’t, well, it made me want to join the counting team. So here goes 1234 calories..that’s what tap and track says I need to eat to lose one-two pounds this week and includes the 300 calories extra I need for breastfeeding. Are you counting calories too? Has it been helpful?